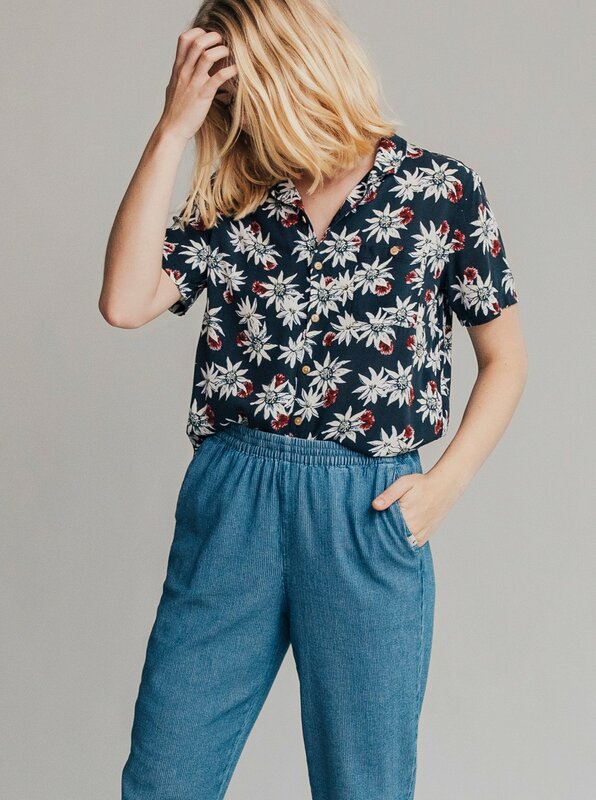 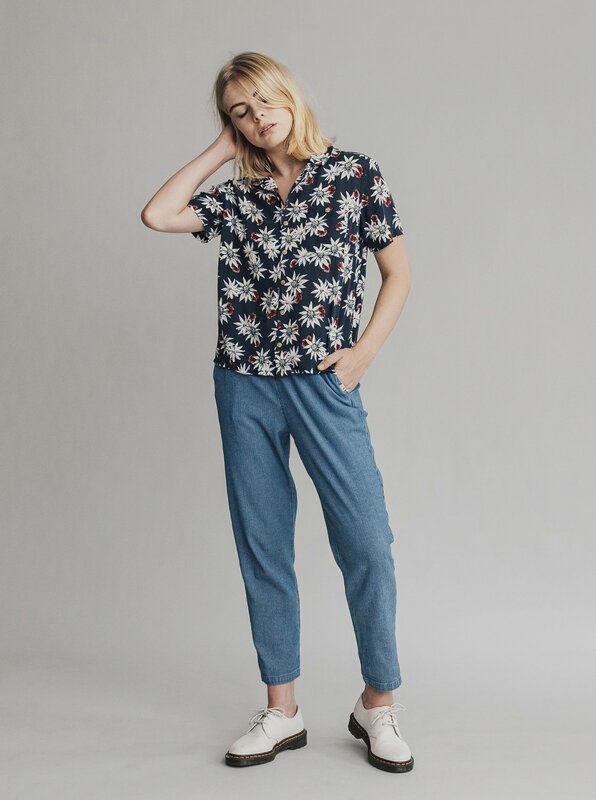 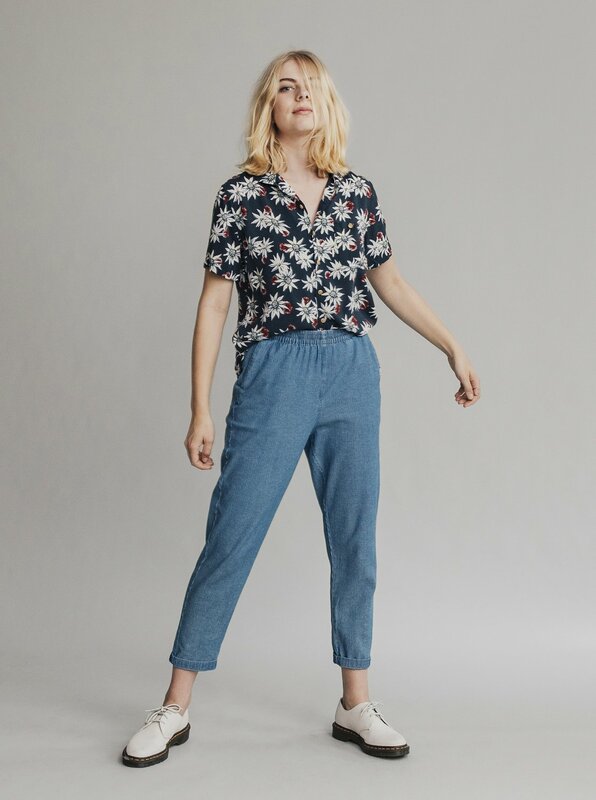 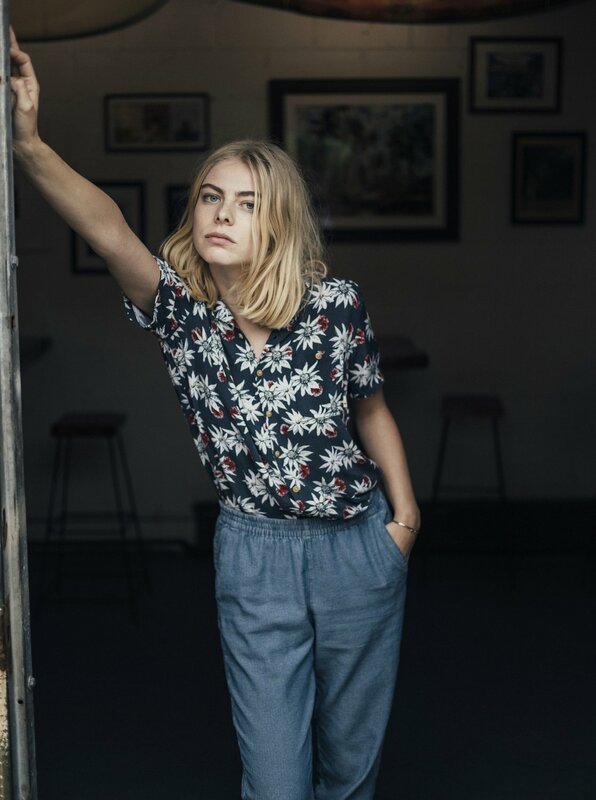 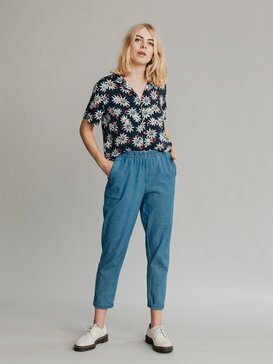 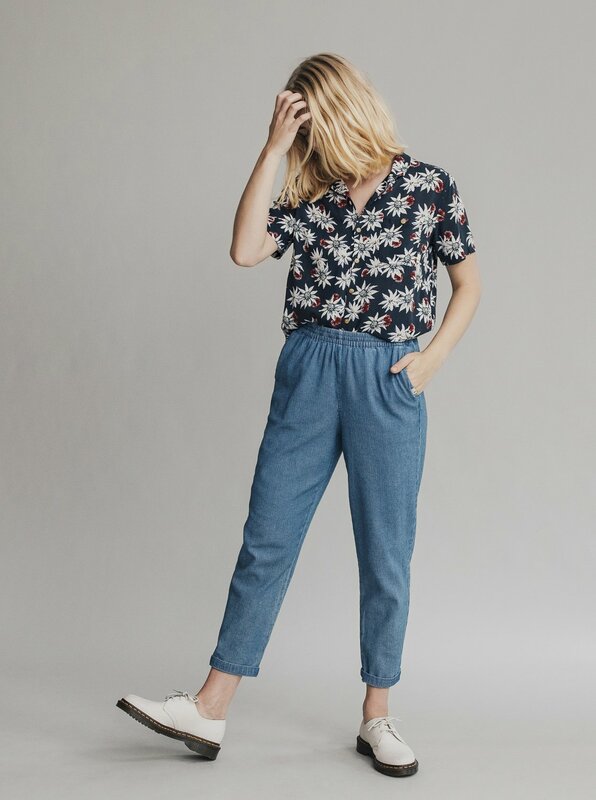 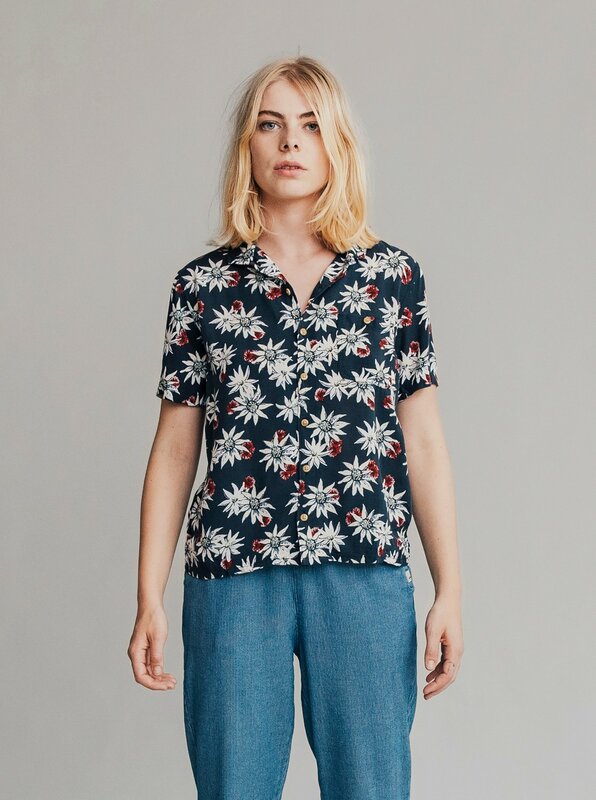 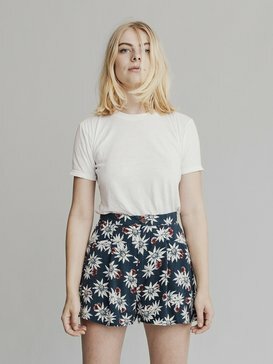 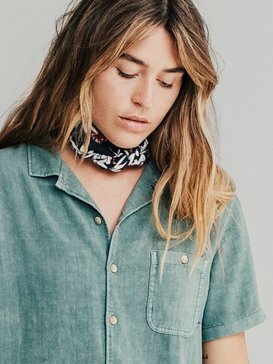 Bring those retro resort vibes to the city streets with this women's short sleeve lounge shirt in airy viscose fabric, perfect for those heat-wave kinda days. 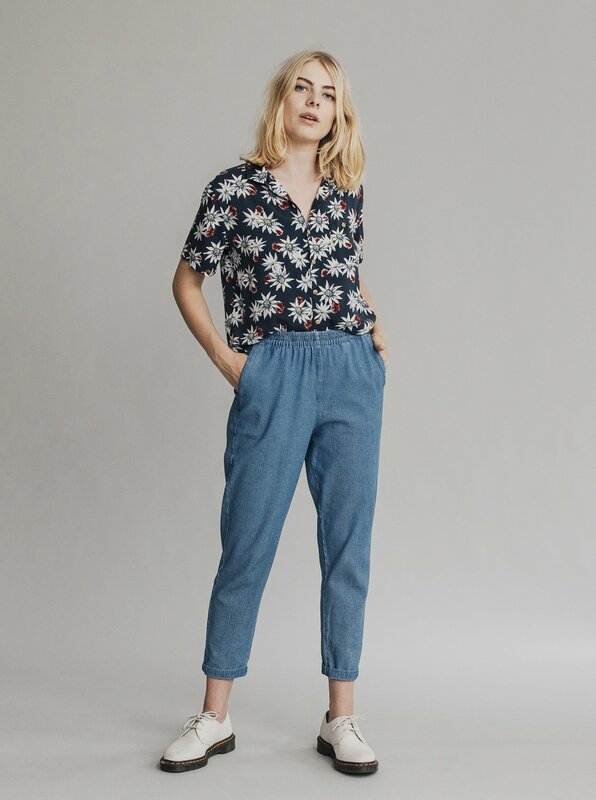 Gritty city blues get a floral pop in garden glade and brick red, cut in a ready-for-the-weekend camp fit. 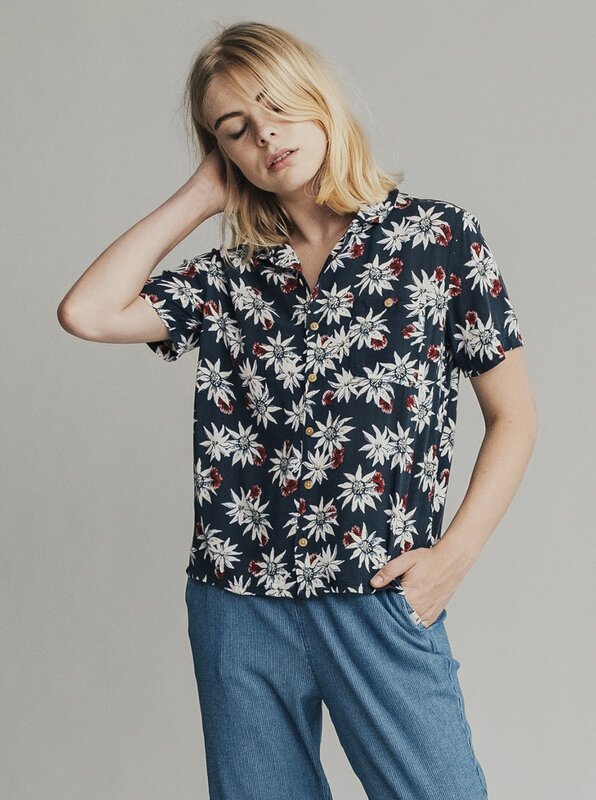 We can hear the roof tops'a calling.